SHANGHAI — Under China’s president, Xi Jinping, the last vestiges of the global internet have slowly disappeared from an online world that had already shut out Twitter, Google and Facebook. Now one of the last survivors, Microsoft’s Bing search engine, appears to have joined them — even though the American company already censors its results in China. The Chinese government appeared to block the search engine on Wednesday, in what would be a startling renunciation of more than a decade of efforts by Microsoft to engage with Beijing to make its products available. If the block proves to be permanent, it would suggest that Western companies can do little to persuade China to give them access to what has become the world’s largest internet market by users, especially at a time of increased trade and economic tensions with the United States. The Redmond, Wash., company has cooperated with local companies to provide its Windows and cloud services to win acceptance by the Chinese government. Its long-established research and development center has turned out valuable products and launched the careers of a generation of artificial-intelligence experts who have started important new companies in China. Beijing has carried out several waves of increasingly intense crackdowns on internet freedoms as the Communist Party has cemented its control over more aspects of Chinese life. That includes cracking down on foreign internet products, including blocks on Instagram and WhatsApp in recent years. Chinese officials disclose few specifics about their censorship practices, and Bing’s status as of Thursday was not entirely clear. The Cyberspace Administration of China did not immediately respond to a request for comment. Greatfire.org, a group that tracks what sites are blocked in China, said the site appeared to be inaccessible in parts of the country but reachable in others. China’s blockages often take time to spread nationwide, though in the past some services have been blocked in some places only to be restored later. With Bing, Microsoft tried to play by China’s rules. For example, a search for the Dalai Lama, the religious leader, would turn up state media accounts within China that accused him of stirring up hatred and separatism. Outside the country, it would point to sites like Wikipedia. Other searches, like for Tiananmen Square or the Falun Gong religious group, were similarly scrubbed, though over the years users reported that using coded language could help turn up posts about some topics that were generally controlled. Blocking Bing would brick over one of the last holes in a wall of online filters that has isolated China’s internet from the rest of the world. 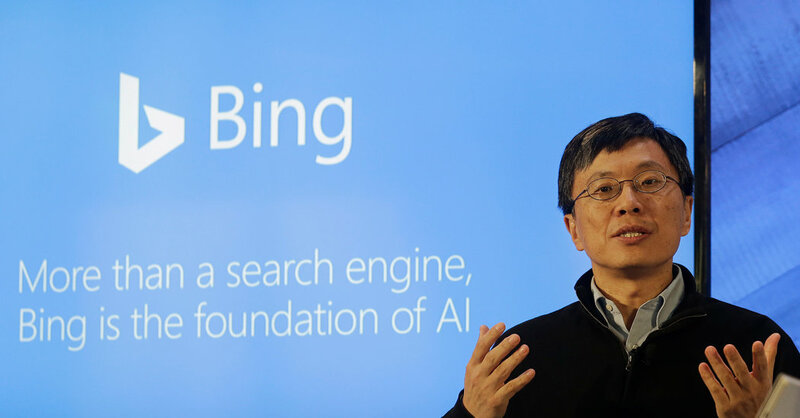 Although not widely used in China, Bing has remained an option of last resort for some in China looking for an alternative to the dominant local search engine, Baidu. While it continues to dominate search traffic in China, Baidu has been at the center of complaints about poor search results and advertisements for questionable medical treatments. Earlier this week, a former journalist, Fang Kecheng, accused Baidu of largely returning search results that were links to its own products instead of those from external sites. The accusation, which Mr. Fang posted on social media with the headline “Baidu the Search Engine is Dead,” went viral in China. Baidu said in a statement that less than 10 percent of its search results included one specific Baidu product that Mr. Fang had singled out, and that its practices of using its own products in search results helped speed up download times. In an interview, Mr. Fang said the Chinese internet was developing into a series of walled gardens, rather than the sprawling forum for ideas that makes online life appealing to many, thanks to censorship and to the rise of big Chinese internet companies like Tencent and Bytedance that dominate the online experience on mobile phones. Blocking Bing would only make it worse. China has long been a difficult market for Microsoft. For years, it struggled to contend with widespread piracy of its Windows and Office software. In July 2014, four of its offices in China were stormed by officials who questioned executives, copied contracts and records and downloaded data from the company’s servers. What was described as an antitrust inquiry was spurred by Microsoft’s decision to end support for older Windows software to encourage users to switch to newer versions that were more difficult to pirate, according to analysts. The withdrawal of support for a still widely used, if dated, version of Windows only underscored the country’s reliance on foreign software. In 2017, to ensure state support for Windows, the company partnered with a state-run firm to produce a government-approved version of its Windows 10 software. The firm, Chinese Electronics Technology Corporation, makes electronics for the Chinese military and is a major vendor of surveillance technology in Xinjiang, where the government has thrown hundreds of thousands of Uighurs, a local Muslim minority, into re-education camps. Beijing has insisted on closer scrutiny of software used by government agencies and companies since Edward Snowden, a former American government consultant, revealed that United States intelligence agencies used American technology for hacking purposes. Despite the difficulties, foreign companies still hold out hope for access to China, which with its size and its thriving mobile phone culture represents a potentially vast market. LinkedIn and Airbnb still have businesses there, though they take pains to comply with local laws. LinkedIn, which Microsoft bought in 2016, censors content in China, and Airbnb coordinates with local authorities to provide access about who is staying at its listings. But trade tensions between China and the United States are only adding to the difficulties. Many American companies, along with Trump administration officials, accuse China of systematically forcing American companies to hand over their intellectual property to local partners or to government officials in the name of national security. So far, China has stopped short of boycotting American products, which could escalate the trade conflict and damage the Chinese economy. Mr. Fang, the former journalist, said he had mixed feelings about a Google re-entry, noting that it would be good for Chinese who want a better search engine, but also that it would normalize censorship.